Munnar, A Ravishing hill station in the state of Kerala is one of the most sought out travel destination and preferred spot for honeymooners. Lying at 1600 meters above sea level, it is the ideal place for trekking and mountain biking. It offers a magnificent picture of tea plantations, rolling hills cuddled by blankets of mists. Munnar is called as “moon-aar” short for moonu aar which means 3 rivers. 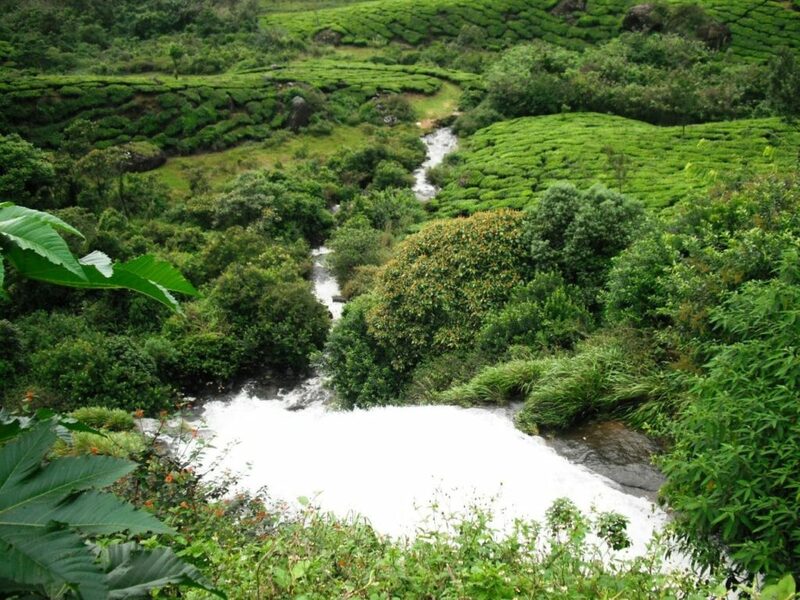 The rivers namely mattupetti, nallathanni and periavaru which flows through Munnar joins after some distance from it. The strobilanthus (Neelakurinji in Malayalam and Tamil) a blue flower which blooms once in every 12 years grow here. 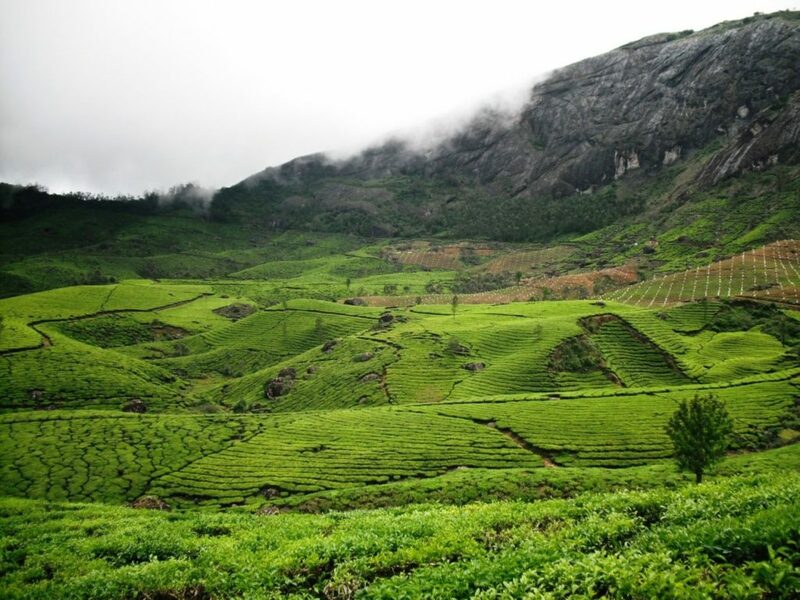 August to March is the ideal time to visit Munnar because the weather is very pleasant during these winter months. Temperature ranges from 0 degrees to 23 degrees Celsius around this period. 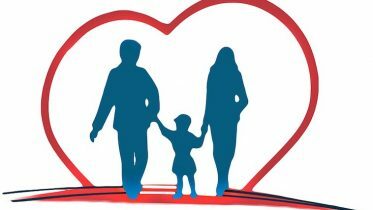 We can hire a cab or take Kerala state board bus which involves 3 hours of travel from the airport. Aluva railway station: This is the nearest railway station which is located at a distance of 110 km from Munnar. Ernakulam railway station: The second nearest railway station which is 130 km apart from Munnar. Madurai railway station: Located at a distance of 135 km apart. Hire cabs or catch state run buses from the railway stations which involves 3 to 4 hours of travel. Warm clothes like sweaters, jackets, raincoats. Shoes or slippers with good grip to climb on steep and mushy roads. Carry lemons, dried amla or mango pulp to prevent nausea. We can cover the following places on a two-day tour. Rajamalai is a very small hill station located inside the park. 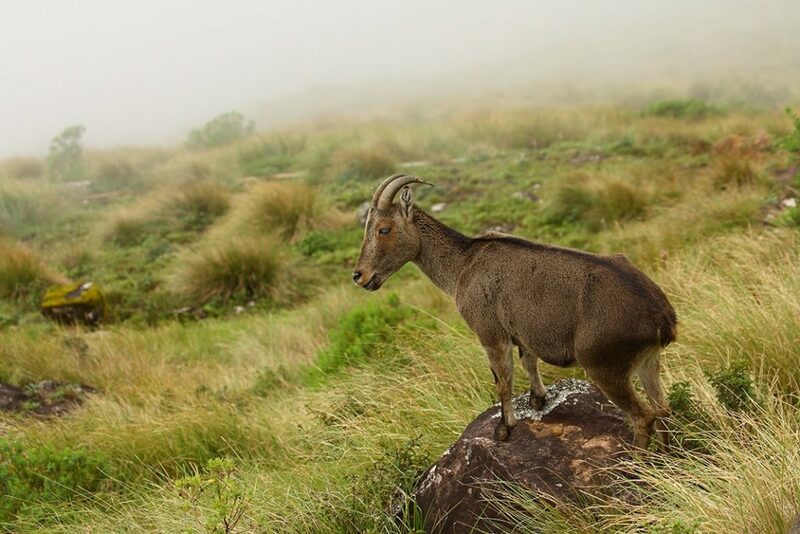 Eravikulam Park is famous for the endangered goat species named Nilgiri Thar (Fifty percent of this goat species live here). We can also look out for elephants, lion tailed macaque, giant squirrel, leopard, tiger, sambar and rare butterfly species here. This park offers safari, trekking tours, and some breath-taking views. Please remind that park is shut during February to March. Located at a distance of 16 km from Munnar. 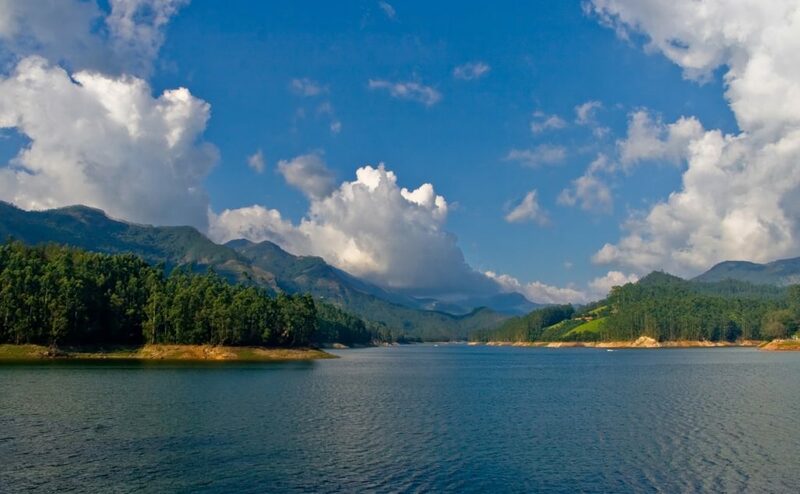 This must visit spot in Munnar is an awe-inspiring place located on Kerala-Tamilnadu border. This is a famous path for trekking in Munnar and offers a 360 degree view of Western Ghats. We have to trek down a distance of 2 km to reach the view point. We also get the added benefit of shedding down calories by climbing up and down through this steep path. But the hard work is rewarded with beautiful views of Kannan Devan hills, the surrounded valleys, misty mountains and the distant waterfalls. Situated at a distance of 32 km from Munnar. A splendid spot for photography lined with tea gardens on both sides. The magnificent background of mountains enclosed with dense green tea gardens makes photo point one of the best places to visit in Munnar. Positioned at a distance of 4 km from Munnar bus station. This is a spectacular place to experience the charm of Munnar along with boating. 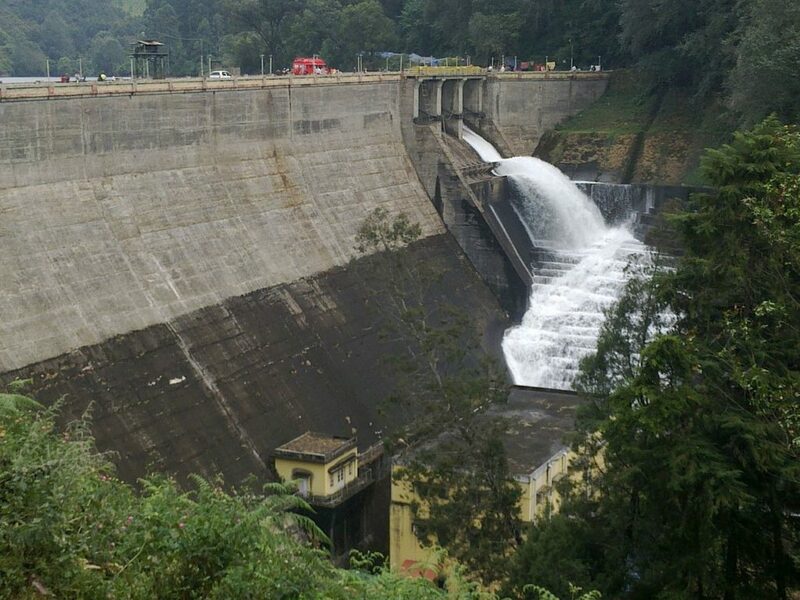 Established in 1953, the lake and dam are covered by wooden hills and tea plantations make it a picturesque view. We might get a chance to view some elephants taking bath from the near forests while boating. Situated at a distance of 10 km from Munnar. This beautiful place ( a distance of 15 km from Munnar) is located on the way to the top station between Mattupetty dam and kundala lake. Echo Point is situated in the backwaters of Mattupetty dam among rolling hills. We can avail boating and trekking experience with beautiful views of green hills. A loud call made from this point returns as an echo from the surrounded hills. A scenic lake with the tea estates spreading across it makes a visual treat to the eyes.The lake is formed by kundala artificial dam. The lake also offers boating facility. We shall get exposure to a special boating experience with kashmiri/shikara boats here. It is located at a distance of 20 km from Munnar. 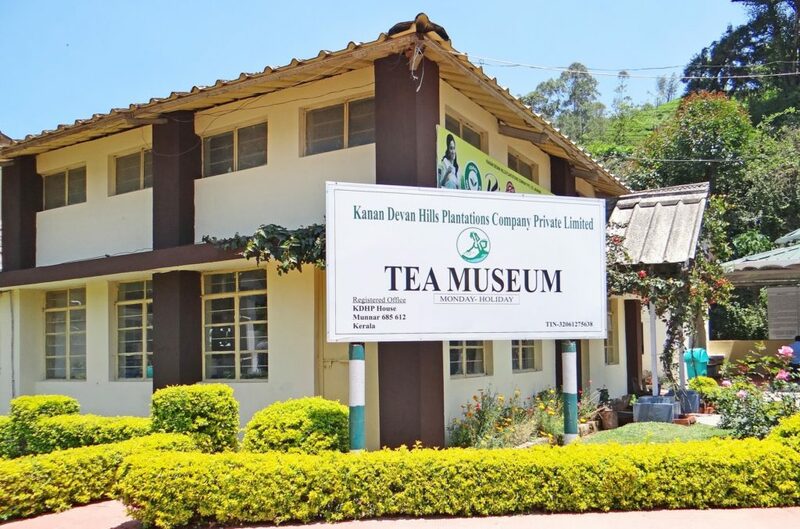 This Tata group owned museum presents various equipment used for tea manufacturing from early 20th century to late 20th century. The steps involved in tea manufacturing process and the equipment used are taught during the course. It is located at a distance of 3.5 km from Munnar. 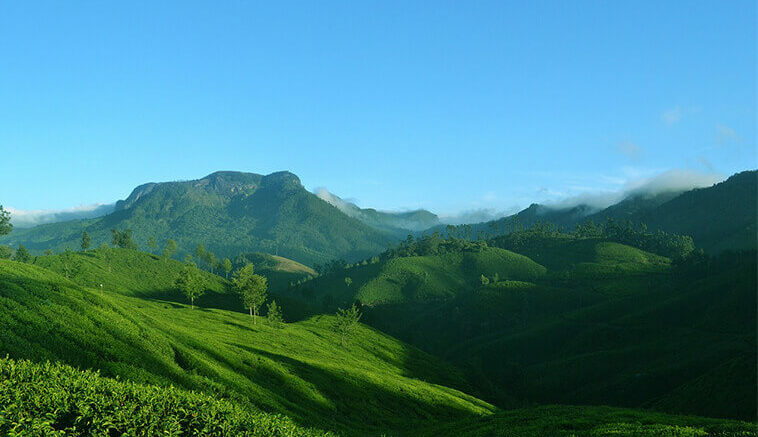 It is a perky hill station at an altitude of 1800 meters and placed at a distance of 18 km from Munnar. There are various tea plantations all over devikulam that add to the beauty of the hill. 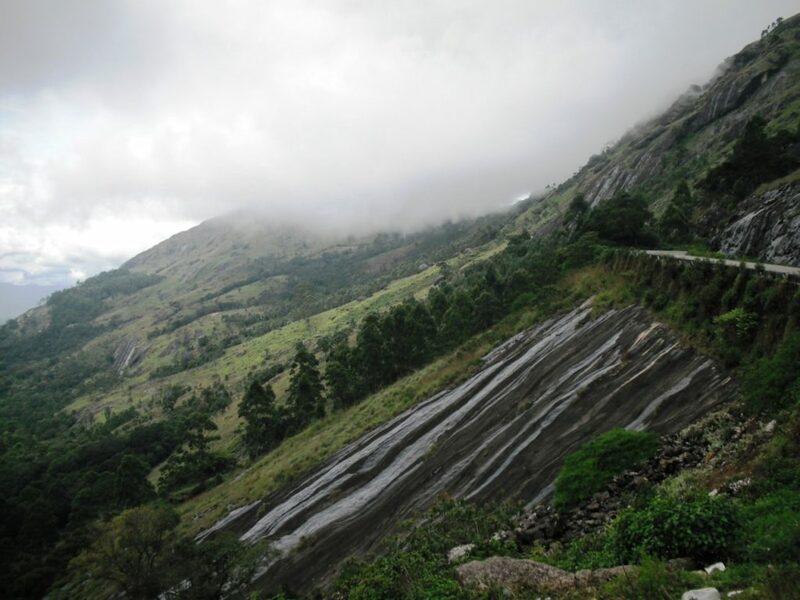 The delightful green open spaces and elevated cliffs of devikulam give scope for hiking and mountaineering. This beautiful waterfall begins from devikulam river. The surrounding green plantation gives an elegant look to the waterfalls. Trek down to reach the pool at the bottom of the falls. Swimming in the pool is a cherishing experience. 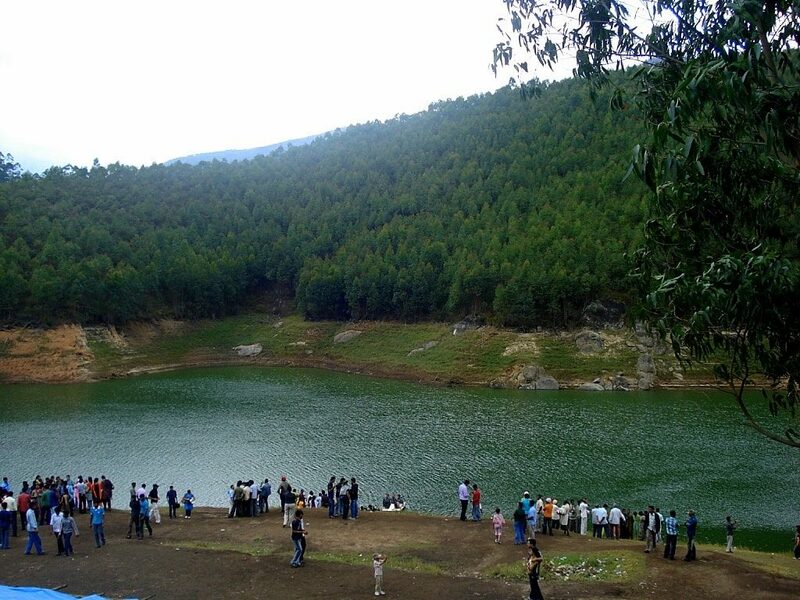 Located at a distance of 16 km from Munnar this place is one of the vital attractions. 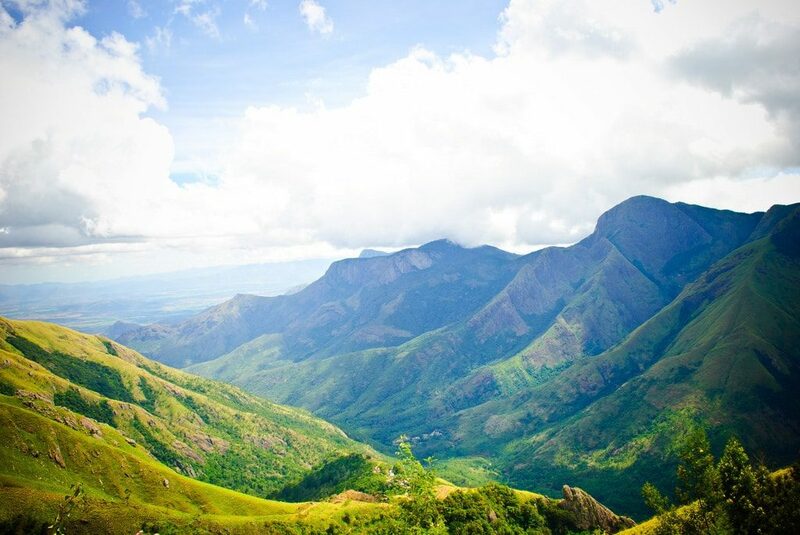 This place shows panoramic views of the mountains and valleys of Munnar. This great sunset point is full of tea plantations and is a nice place for photography. Munnar has also got Atukkad waterfalls, Pothamedu view point, Chinnar wildlife sanctuary, lakkam waterfalls, Salim Ali bird sanctuary if you want to spend more time there. Quickly grab your stuff and head towards Munnar. Lie down in the lap of nature and shed away all the piled-up stress. 2 Comments on "Get Ready to Rejoice in these Scenic Views of Munnar"
Informative and detailed content. This will help travellers of all kinds. Thanks. Great content and info looks handy..will definitely help novice travelers to Munnar.